“The Camp” Courtesy of Judy Fuller. “What makes you think you can paint? You’re not an artist. You’re kidding yourself!” This is Judy Fuller’s inner voice at two a.m., when she wakes up churning about a painting she’s working on. Judy is a self-taught artist whose extraordinary, luminous landscapes of the Florida wetlands are sold for thousands of dollars at an upscale gallery in my neighborhood. Judy’s bright smile, twinkling eyes, and obvious success might suggest that she never hears a mean-spirited voice like this. Not true. Like the rest of us, Judy is human. Like the rest of us, her mind can spin out of control. “What do you do when you hear that voice?” I asked. We were both at a party in the gallery, and by chance, happened to begin chatting. Judy’s not only a self-taught artist; she’s also a self-taught coach, who coaches herself when she hears the nagging, nay-saying inner voice that keeps so many of us from our dreams. She gently reminds herself of the truth. 1. Pay attention to what is happening. Judy didn’t avoid the voice. She didn’t surf the internet or eat a quart of Chunky Monkey ice cream straight out of the container. It’s important not to distract yourself at this point. 2. Be compassionate. She spoke to herself gently and kindly. She didn’t make herself wrong for having the thought, and didn’t berate herself further. In other words, don’t beat yourself up for beating yourself up. 3. Find “the why.” Judy found reasons why the harsh voice was acting out. She was tired. She had been working hard. She had an artistic problem that was unsolved. She was discouraged. You can similarly ask yourself: why could this voice be speaking out? What’s it afraid of? What’s it trying to tell me? 4. Find evidence that the critical message is untrue. 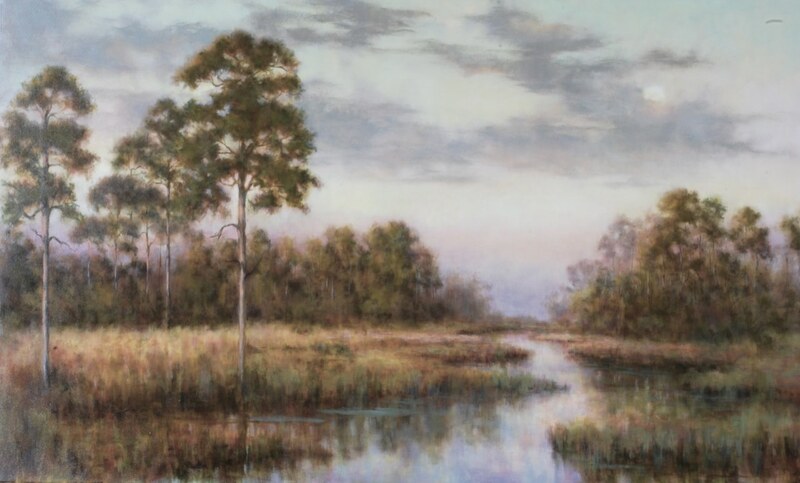 Judy reminded herself that she’s heard from this voice before, that she produces many beautiful paintings and loves what she does, and that her work in on display in galleries and is purchased by others. This kind of specific, detailed, truthful evidence is exactly what we need to find when we are disputing the mind chatter that threatens to derail us. 5. Acknowledge the real truth. Judy remembered what is true for her and what that truth feels like–when she finishes a painting and sees its beauty, she feels it, too. In those moments, there’s no doubt. She knows she’s an artist. When you land on the real truth, your feelings will shift. It feels so much better. 6. Give yourself an immediate, healthy solution. “I tell myself to rest, that I can come back to the painting later, that I’ve worked it enough for now,” Judy said. Taking a break from a problem is a proven strategy for moving through it. So is resting. Three slow, gentle breaths, a walk outside, or a bath with lavender oil are remedies that work, too. With experimentation, you can find what works for you. 7. Don’t give up. The next day, Judy went back to her work. She didn’t believe the voice and didn’t let its message stop her. You don’t have to, either. You don’t have to believe everything you hear, even if it’s coming from inside your own head. That critical voice doesn’t mean you should give up your dreams–just go back to work. It’s a fantastic example of masterful self-coaching. The proof? Her beautiful art exists on canvasses, not as unfulfilled dreams, existing only inside her head.